Cavan Senior Scór County Final: Friday 1st March 8.00pm in Drumavaddy Community Centre. 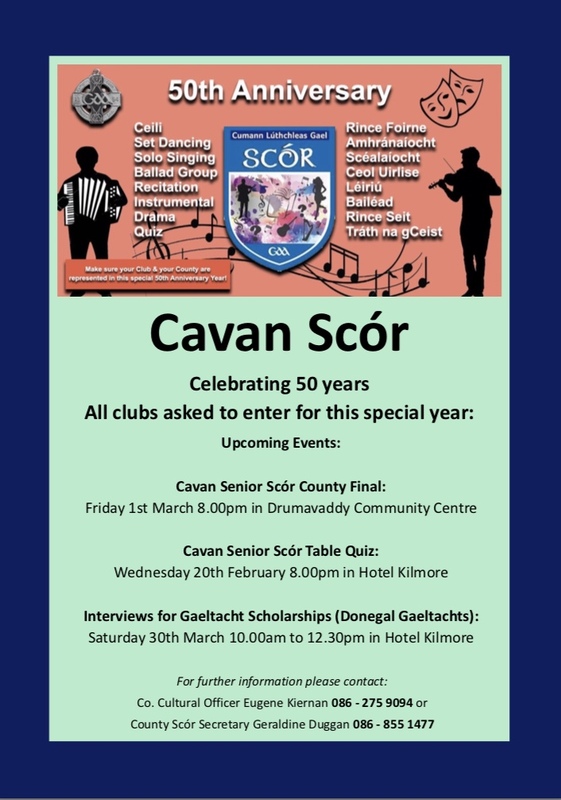 Cavan Senior Scór Table Quiz: Wednesday 20th February 8.00pm in Hotel Kilmore. Interviews for Gaeltacht Scholarships (Donegal Gaeltachts): Saturday 30th March 10.00am to 12.30pm in Hotel Kilmore.